Metro Apartments on Darling Harbour is ideally located in the city centre of the Sydney's exciting business and leisure precinct. 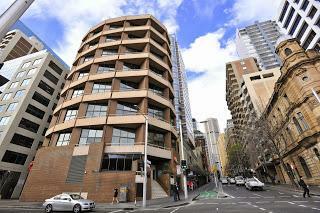 This makes this discount Sydney accommodation the ideal place to stay for both corporate and leisure guests. The Metro Apartments on Darling Harbour comprises fully serviced one-bedroom loft style apartments complete with large ceiling to floor windows providing most of the rooms with expansive views of Darling Harbour. The Metro Apartments on Darling Harbour is close to everything that Sydney has to offer and features numerous guests facilities including faxing facilities, guest laundry, lift, 24 hour reception, baby cots available and daily housekeeping. Metro Apartments on Darling Harbour is ideally located in the centre of the city's exciting business, tourism and leisure precinct making it the ideal location for all visitors to Sydney. This property has a strict "No Party" policy for the comfort all guests. Only registered guests are permitted in the property after 10pm. It is important for all guests to be aware that both the Sussex Street and King Street properties have steep stairs leading from the footpath to the main entrance. Nearby Attractions : Located perfectly in the heart of the city, Metro Apartments Darling Harbour is within easy access of all major attractions such as, the Sydney Aquarium, IMAX Theatre, Cockle Bay Restaurants, Maritime Museum, Chinatown restaurants and taverns, Sydney Entertainment Centre, Powerhouse Museum and the Sydney Convention and Exhibition Centre. All the fun and excitement of Sydney's shopping, entertainment and tourist attractions are right at your doorstep. 1 Bedroom Sussex St Apartment : Sleeps up to 4 guests on 1 Queen Bed & Double Sofa Bed Extra. Executive Apartment : Sleeps up to 4 guests on 1 Queen Bed & Double Sofa Bed Extra.